I’ve always been a bit awe inspired by people who run 100 miles. I’ve always thought they were amazing, strong and superhuman. I never thought a 100 mile runner could be someone like me until this past year. 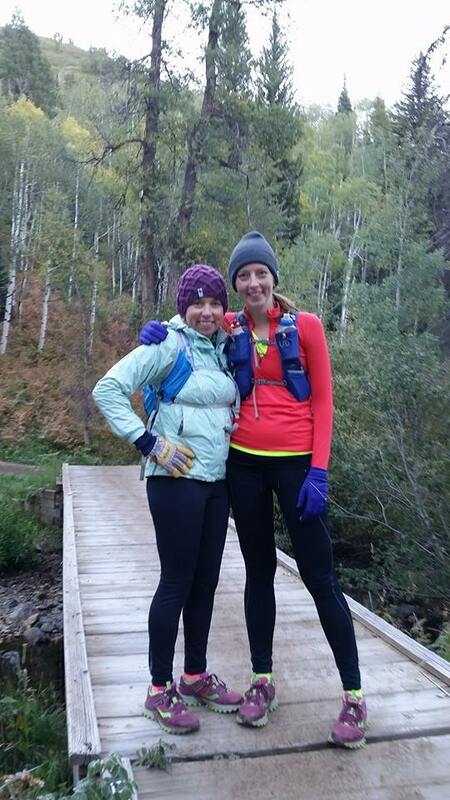 I remember running in the morning around Washington Park in Denver with my friend Heidi last year and talking about ultra running. I finally admitted to Heidi that I secretly had always wanted to run a 100. To my relief, she didn’t think I was crazy or completely out of my league. In fact, she admitted that she had the same dream. I didn’t think she was crazy or completely out of her league either. And that was all it took. One person telling you that you aren’t crazy for thinking you might be able to pull off something huge. 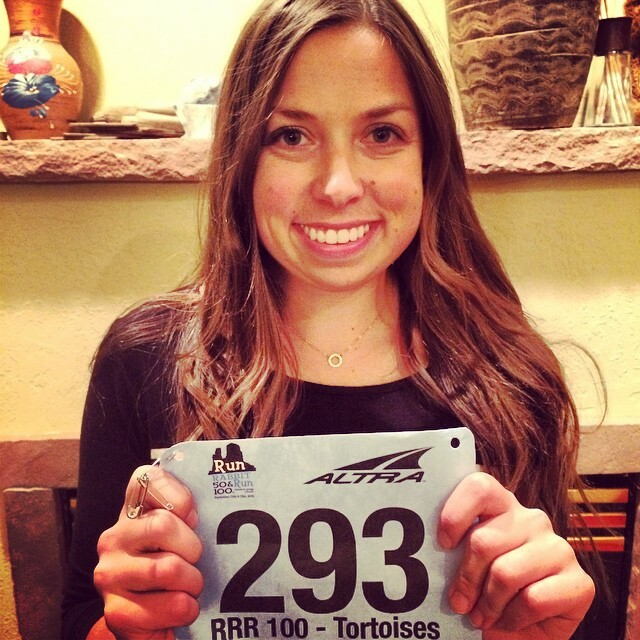 “Runabling” was born, and I found myself signing up for the Run Rabbit Run (RRR) 100 at midnight when the race registration opened in March. I started running cross country and track in 7th grade and ran all through college, so these days it’s easy for me to get burned out on running. I knew I wanted to do a low mileage 100 miler training plan to avoid getting bored, which is a bit unorthodox in the world of ultrarunning. Low mileage or not, I still worked extremely hard and trained six days a week. I made it to CrossFit about 2-3 times a week during the summer months, took up yoga, continued morning runs at Wash Park, went for trail runs after work, learned to waterski, ran up Decalibron and Quandary several times and spent tons of time at altitude. The bread and butter of my training was probably one mile repeats up the hill in the neighborhood at my boyfriend Graham’s family’s cabin in Grand Lake at around 8,500 feet. For some reason, I never got tired of that hill! My two longest official training runs were the 4-Pass Loop in Aspen (28 miles) and this one day I did Bergen Hill Repeats (18 miles). That’s it! I will say that mileage alone doesn’t really fairly capture a lot of other efforts though, like the day I climbed Handies Peak on legs that were destroyed from CrossFIt or the day I climbed Democrat and Cameron in the morning and did a 13.5 mile night run in Steamboat Springs later the same day. Low mileage works for me but it’s only because I stay constantly active and put a lot of effort into crosstraining. I’ve been pretty lucky during previous training cycles in that nothing major went wrong leading up to a race. It was therefore only fitting that lots of things went wrong right before the biggest race of my life! 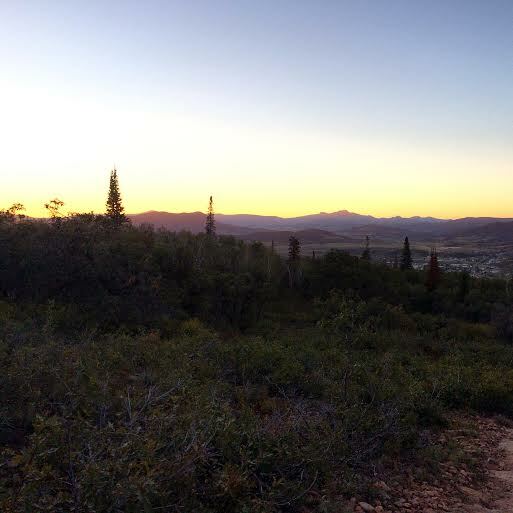 At the end of July, I had my biggest training weekend scheduled – the Mt. Werner 50K plus a long run the next day. My grandma passed away and I instead spent that weekend with my family at the funeral, giving my race registration away to a friend. 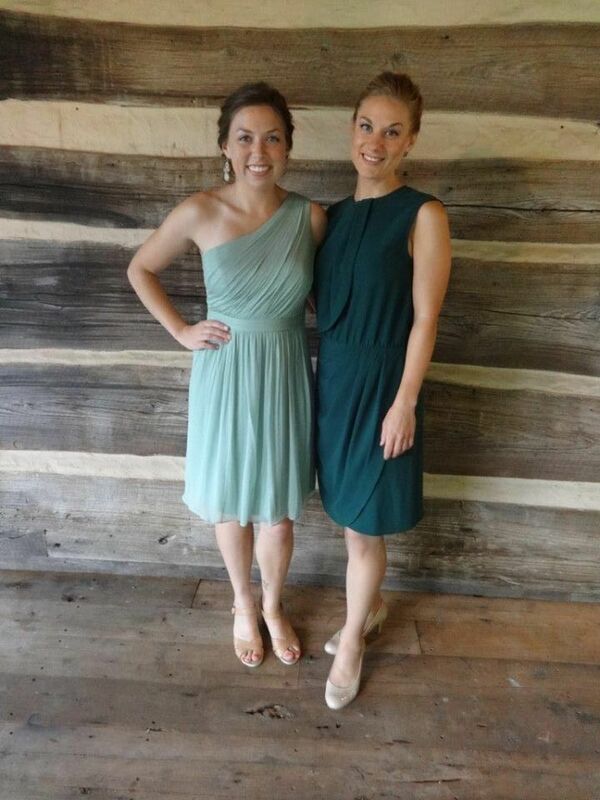 On a happier note, my brother’s wedding was the third weekend of August. Maybe I went a little overboard on the open bar and wine at the wedding because immediately after coming back to Colorado I got sick. This sickness turned into a three week cold that finally evolved into a full blown ear infection the Monday of race week. Brother’s wedding weekend at a Virginia winery. More wine drinking than running? Basically the Wednesday before the RRR start on Friday, my ear was still clogged and I wasn’t sure if I could run. I kept having faith that the antibiotics would kick in eventually. Standing at the starting line of RRR I felt pretty neutral about the whole thing. I wasn’t dumb enough to be excited yet I wasn’t exactly dreading the race either. My ear was somewhat better, luckily, and I was ready for the race to start. I also had an amazing support group lined up with three pacers, Ian, Katie and Greg, and an awesome crew, Melissa, Graham and Britt, armed a binder full of my expected times at aid stations. My crew had strict instructions on when to give me my amoxicillin dosage for my ear infection. I joked several times before the race that I was on so many antibiotics I could probably eat dirt during the race and be fine! Katie, Melissa, me, Ian and Greg. Jackson pup too! At last the race started and I headed to the bottom of Mt. Werner to begin the first major climb. Every single race report that I had read talked about the brutal start up Mt. Werner. Consequently, I did lots of hill training out of fear. Thanks to all those hills in Grand Lake, I really didn’t think Mt. Werner was that bad! Look at how happy I was on Mt. Werner! I was pretty happy with my steady climb up Mt. Werner and briefly stopped at the first aid station for some Tailwind. After Mt. Werner the course traversed 6 miles or so over nice, rolling single track trails to Long Lake. It was easy to get going too fast on this section but I reigned it in and kept a gentle pace into the second aid station. I again stopped just briefly for some Tailwind and turkey wraps before heading back on the trails down to Fish Creek Falls. This section wasn’t super fun for me, which was too bad because it was basically all downhill! Apparently I was allergic to the grasses in the meadow I was running by and I spent most of the section congested and coughing. When i finally got to Fish Creek Falls I was excited to meet Katie, who was pacing me through town, and retrieve allergy medicine from my crew. Why I didn’t take it before the race started is beyond me! Fish Creek Falls, the first time. 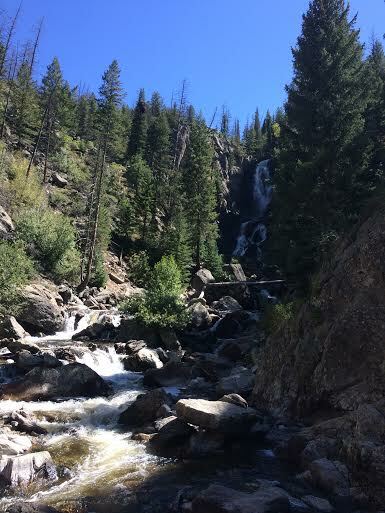 Katie and I headed downhill from Fish Creek Fall to Olympian Hall in Steamboat Springs. My feet hurt (foreshadowing?) running on the roads but I blamed it on the pavement. 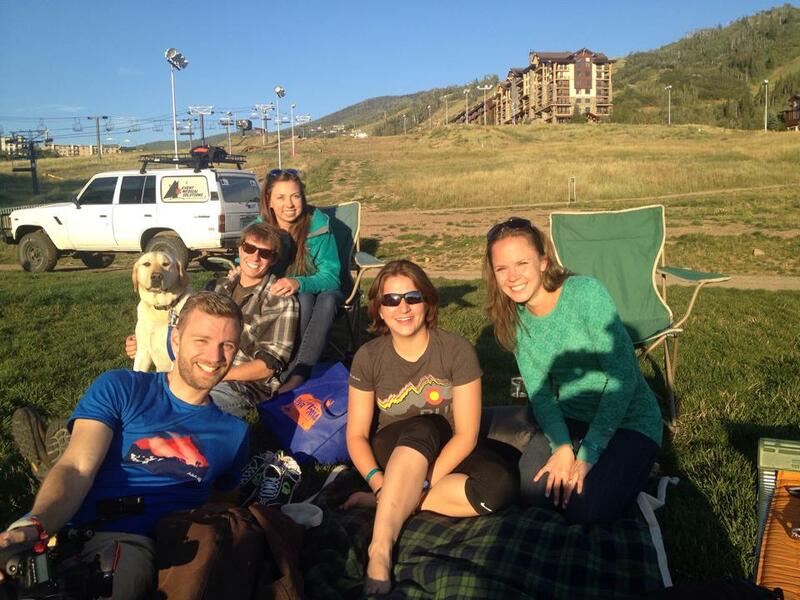 It was fun to see my crew at Olympian and the aid station had a lot of good food. I grabbed some watermelon and peanut butter tortillas then headed off on my way to Cow Creek. You know how I previously mentioned that all the race reports I read made Mt. Werner sound terrible and it wasn’t actually that bad? What these race reports also failed to emphasize was the huge climb from Olympian to the top of Emerald Mountain. Luckily I found some awesome fellow runners to hike up the hill with, Meghan and Craig. Meghan, Craig and I actually ended up sticking together through most of the 20 mile trek back to Olympian, which was a lifesaver. The course ran from Olympian Hall 4 miles to a water station, 4 more miles to the Cow Creek aid station and then 12 miles back to Olympian Hall. It was the last long stretch before we would be allowed to pick up pacers, and it was after we had already run 20 miles. I never understood how people had a hard time eating during ultras before this part of the race. It was hot and exposed and I felt nauseous, which made eating sound terrible. Ironically, the nausea went away after I was able to force down gels and chews but it was so hard to make myself eat during this portion. Eventually, I made it back down to Olympian Hall while the sun was setting over Steamboat. Da Boat. She’s a beaut! I ran into cheering crowds at Olympian Hall. I had made it 41.3 miles in 11 hours and 43 minutes, not too shabby. My whole crew minus Graham was at Olympian and it was great to see everyone. I cannot say enough about how amazing my crew was – at every aid station I would roll in and they took care of everything I needed, refilling my water bottle, feeding me and giving me love. After Olympian, I got ready to roll out back to Fish Creek Falls with Ian. Since the roads had hurt my feet so much on the way down into town, I thought I would throw on a pair of my old trail running shoes outfitted with cushioned insoles. 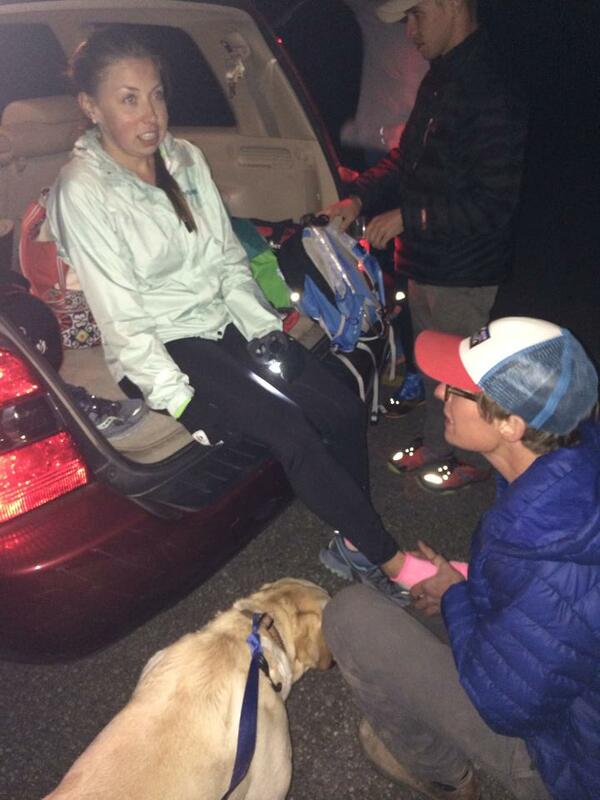 I’m not sure if it was the fault of the shoes or not but I showed up at the Fish Creek aid station in a lot of pain. When my crew helped me change back into my original shoes we discovered several blisters on my toes and feet. Graham, boyfriend of the year, got to work popping blisters and bandaging my feet. Such pain. Blisters are no good! After my blisters were popped, I hobbled back onto the trail with Ian. This was the first time in the race that I seriously wanted to quit. Ian made me continue, assuring me that my feet would feel better. Ian was right, thank goodness, and my feet did start to feel better. The trail was technical and it felt like it took ages to get to the Long Lake aid station. During this time the temperature had also dropped significantly. I legitimately think it got down to 25 degrees where we were running. Long Lake was a fantastic aid station complete with hot soup and a campfire. It was so nice that it was almost hard to leave but after some tea and soup Ian rallied me and we set off towards Summit Lake. The course from Long Lake to Summit Lake was a gravel road that was actually runnable for the first couple miles. I managed to slowly run some of these sections after getting over the initial pain. Despite the fact that some parts of this section were runnable, my feet hurt, I was cold and I was extremely discouraged. I started thinking about wanting to drop out again, however, I wouldn’t see my crew again until Dry Lake at mile 64.5 so I had no choice but to keep moving. You don’t know what joy is until you reach an aid station during an overnight portion of an ultra. Reaching the Summit Lake aid station was a joyous event. I immediately went inside, grabbed coffee and sat by the fire. Ian asked me if I wanted broccoli and cheese and picturing a giant plate full of vegetables I vehemently shook my head and made a face. “No, it’s soup,” Ian insisted. Oh. I took the cup and continued to try and reinvigorate my body and mind. At this point Heidi and her pacer Jeremy bounced into the aid station, clearly having a lot more fun than I was. I told Jeremy I wanted to quit and he tried his best to feed me caffeine and motivation. Heidi and Jeremy scooted out of the aid station while I lingered by the heater, cursing myself for signing up for this stupid race! Reluctantly I left Summit Lake – but only because the sooner I got out of there the sooner I would be able to drop out at the Dry Lake aid station. From Summit Lake to Dry Lake it was 7.6 miles mostly downhill on Buffalo Pass Road. I tried running a bit but my feet hurt and spirits were low so that didn’t last too long. I think this is Graham giving me a kiss at Dry Lake while I’m hysterically sobbing. At this point, I started glancing at my watch. Me wanting to quit was no longer necessarily optional. I had slowed down significantly, and I did some math and wasn’t sure that I would make the cut-offs even if I wanted to continue. At long last, Ian and I finally made it to the Dry Lake Aid Station. Heidi was just taking off when I got there, and she looked energetic as I wearily tried to give her a smile. Graham came up to me and I pretty much immediately burst into tears. Except he then made me laugh, so I was crying and laughing at the same time. Even two PTs couldn’t save me at this point. I think I had been a pretty easy runner to crew up until Dry Lake. Nothing my crew wanted to feed me sounded good. My crew somehow convinced the aid station volunteers to make me pancakes, which surprisingly did little to raise my spirits given the fact that pancakes are one of my favorite foods in the world. I wanted to throw in the towel at Dry Lake, but my crew talked me into at least trying to make it to Spring Pond. At this point the sun was coming out and I had made it through the night, so I do really credit them for making me keep going. They wanted to at least see if anything would change for me with the sun coming out, which was fair. Katie, my next pacer, and I headed out from the Dry Lake Aid Station. The course went 4.5 miles down to Spring Pond and then headed the same way back up to Dry Lake. I knew I only had 4.5 miles before I would have a bail out option again, so I was okay with continuing! Unfortunately, I wasn’t in much better shape after leaving Dry Lake, and I made Katie slowly creep down the trail with me. Running was completely out of the picture. Craig passed us on the way back up to Dry Lake, and I was excited to see my Cow Creek friend still moving. Soon after we ran into Heidi! She could barely talk but I was so excited to see her. Heidi at 72ish miles and me at 67ish miles. I knew it was going to be the last time I would see Heidi because I had made my mind up at that point that I was dropping at Spring Pond for sure. I was not feeling any better and since the rest of the race was heading back up what Ian and I had spent all night running I knew I didn’t have what it would take to cover the rest of the ground. I was mentally done, and my feet were throbbing with every step. I wished Heidi the best and continued with Katie. After I stopped moving, the pain set in and I could barely walk. My crew and I headed into town for breakfast and then back to our condo where I proceeded to immediately crash. A few hours later I woke up from my nap and cried. I had wanted to be done with race so badly that I had no problem walking away in the moment, but once everything caught up with me I was sad and disappointed. I thought it was going to be emotionally hard for me to head to the finish line and watch Heidi complete what had been my dream. Surprisingly, it wasn’t hard at all. The hardest thing was walking to the finish line from Graham’s truck! I was so happy for and proud of Heidi. And also not surprised at all. I knew she could do it! That’s what runablers are for after all. I have always read about others who have DNF’d in 100 mile races and thought they were completely badass for even trying. Being on the other side I have learned that it doesn’t feel so badass and that it really just feels heartbreaking and disappointing. 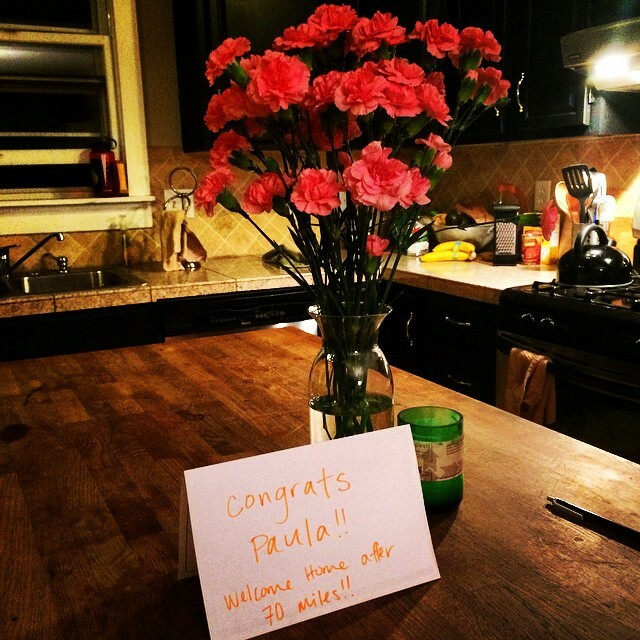 I think the reason I did RRR was to see if little old Paula could do it, to see if I was a real ultra runner. It was hard to let myself down. Since RRR has been over I’ve eaten more and exercised less than I ever have in my life. I enjoyed that for about a week but I’m definitely ready to get going again! After my DNF, Graham bet me a ski trip to Japan if I never ran an ultra again. My friend Melissa asked Graham, “Really? All she has to do is not run another ultra and she gets a ski trip?” Well Graham obviously knows me well, because it already looks like I need to save up for a ski trip to Japan! I definitely want to try the 100 mile distance again and based on the times of year that I’m willing to train (not ski season) it looks like RRR is my race. Could RRR 2015 be the ticket? We’ll just have to see! Thank you times a million to my amazing pacers and crew! I would have never made it as far without those guys and their support meant the world to me. Thank you also to everyone that was following and cheering me on from home. 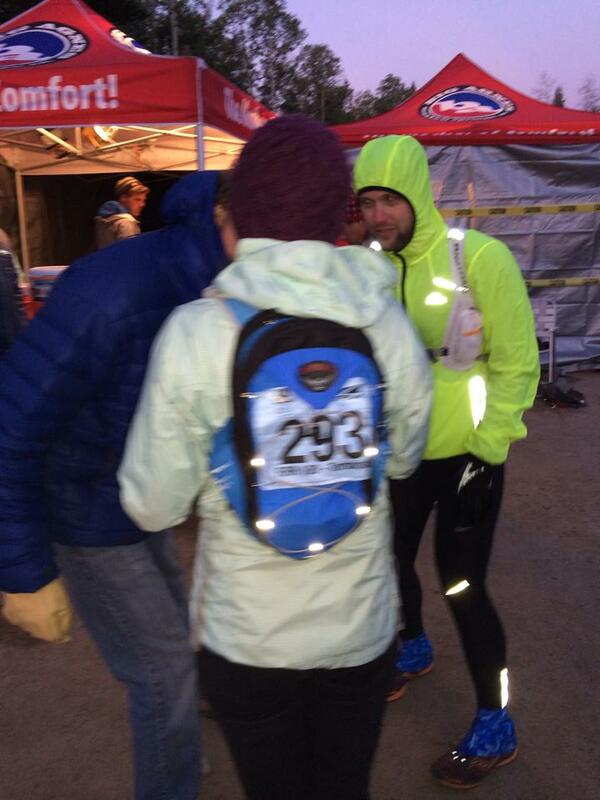 I joked on Twitter before the race that if you want to feel loved you should just sign up for a 100 mile race! 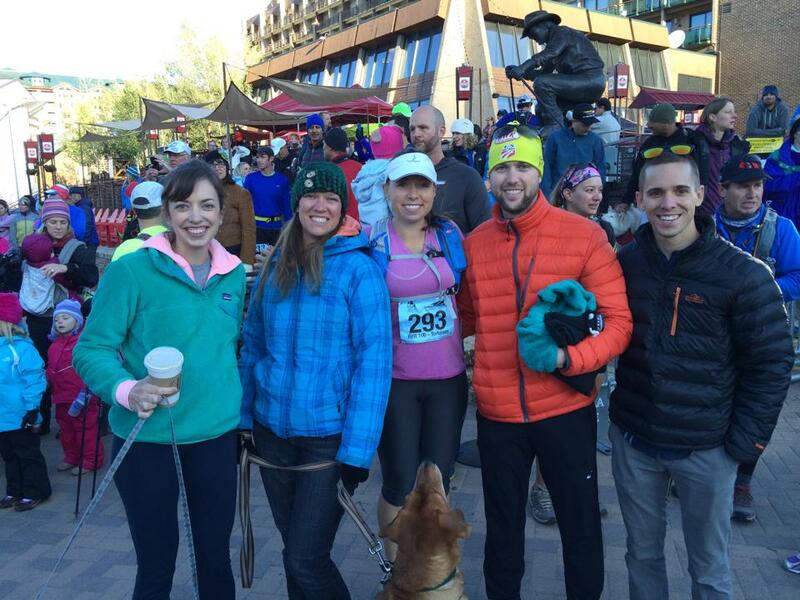 Want to check out Heidi’s take on Run Rabbit Run? 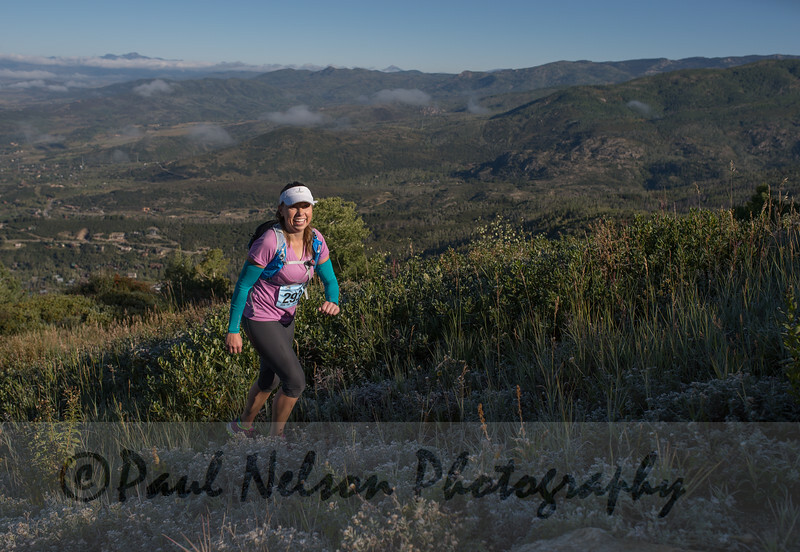 Read her race report here! Categories: races, trail running | Tags: race report, rrr 2014, run rabbit run, ultra, ultrarunning | Permalink. This weekend, for the first time in the past few months, I’ll actually be in Denver all weekend long. Denver weekends have been a rarity for me this winter because my priorities get a little confusing during ski season. Well, actually, not that confusing. My priorities are skiing during ski season! Another reason my priorities have been confusing? 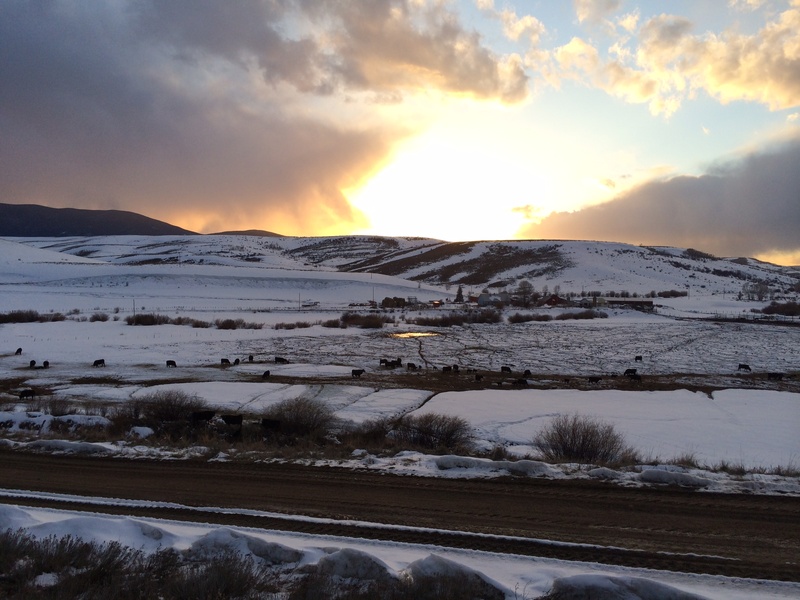 I absolutely love winter weekends in Grand County and it’s been hard to tear me away. 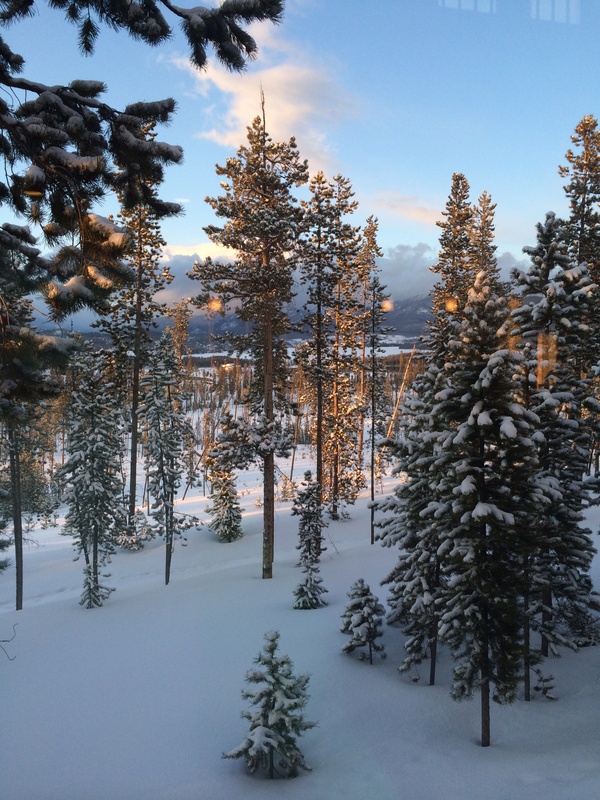 My boyfriend’s family has a cabin in Grand Lake, and it’s really in my opinion the best winter location in Colorado. Big statement I know, but let me back it up! Whenever people hear that my boyfriend, Graham, is working in Breckenridge for the year I think the image people get in their mind is not quite as cool as reality. While Breckenridge is picturesque, quaint and has a killer view of the Ten Mile Range, it’s also well known that it can become a madhouse during high season. Fact: one of our favorite past times is watching the tourists, unfamiliar with Colorado liquor laws, unknowingly stock up on 3.2 beers at the City Market in Breck. 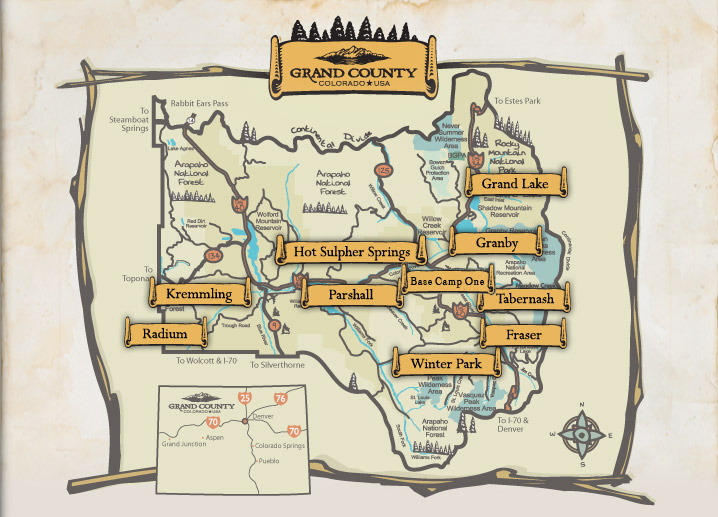 Grand County on the other hand? Not exactly the huge tourist draw in the winter, especially once you get away from the Winter Park area. Compared to the traffic jams of I-70, Grand Lake is as quiet and serene as it gets. Grand Lake is for sure more of a summer destination, and in the winter it’s incredibly peaceful. 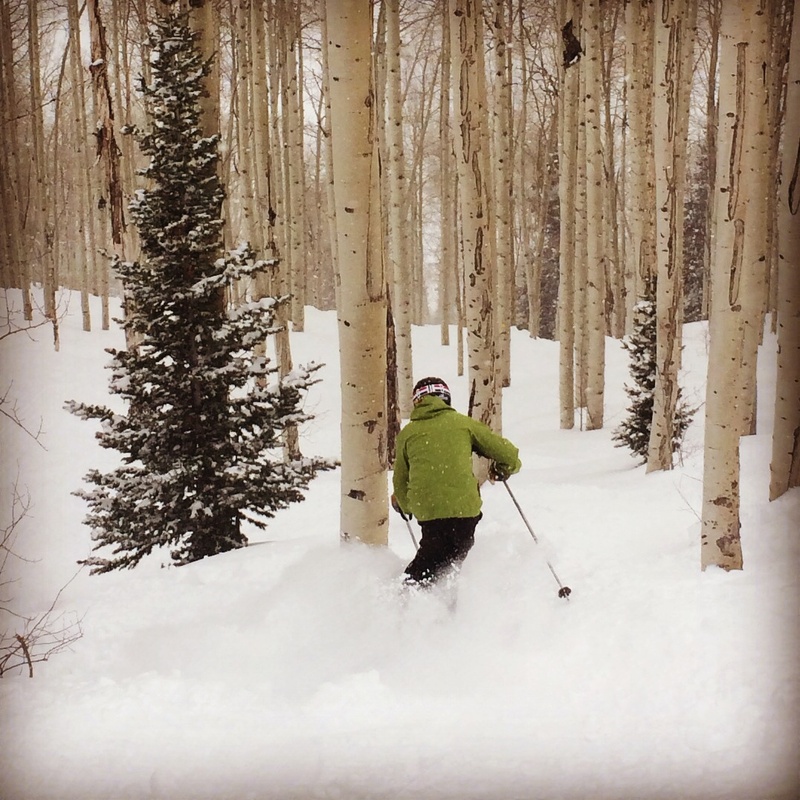 Skiing wise, I think Grand County has the best of both worlds. From Grand Lake it’s about 35-40 minutes to Mary Jane and an hour and a half to Steamboat, which suddenly makes Steamboat a completely reasonable day trip. Steamboat is definitely not a reasonable round trip from Denver, as it’s about 3 1/2 hours away. The other great part about Grand Lake > Steamboat is that Hot Sulphur Springs is conveniently on the way back. It’s not a particularly fancy hot spring pool, but that’s kind of why it’s great. I love skiing as much as the next person but what I am learning is that I also just love being outdoors in the winter. 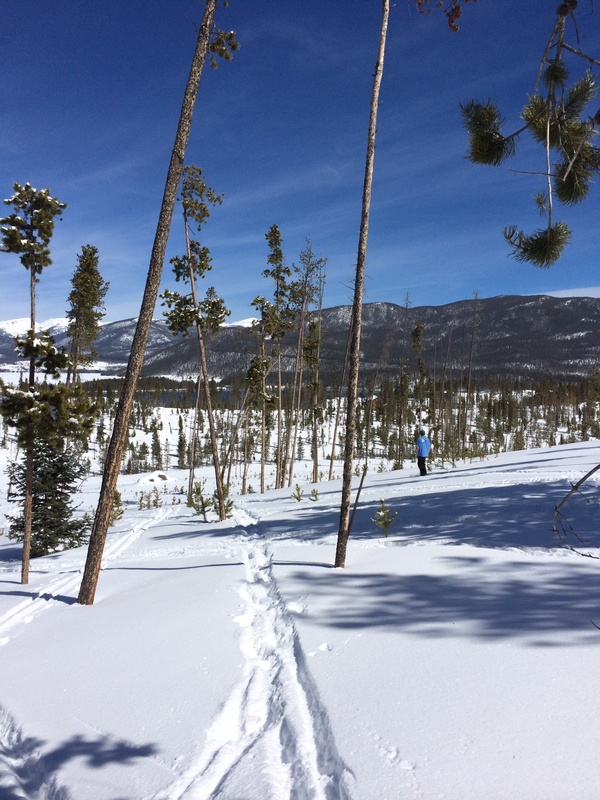 It’s nice to have other options sometimes, and Grand County offers ample snowshoeing, cross country skiing, snowmobiling and ice fishing opportunities. On a side note, someone please explain what part of ice fishing is fun to me because I absolutely do not get it! Back to the point, after being hazed on a New Year’s Day cross country skiing trip this year with Graham’s family (extremely steep and narrow trail in Rocky Mountain National Park with boots that ended up breaking on the trip), I have since come around to really having fun on a pair of cross country skis. I now even have a pair of cross country ski boots in my size at the cabin! A few weeks ago, Graham and I decided to take the dogs on a walk by cross country skiing up and down a mini-hill behind the cabin. It was an absolute blast, and with the view of Shadow Mountain Reservoir ahead of us I dubbed it our own Lake Tahoe. Grand Lake is the largest natural lake in Colorado, and along with Shadow Mountain Reservoir, Lake Granby AND the Colorado River there are amazing vistas to be found everywhere. 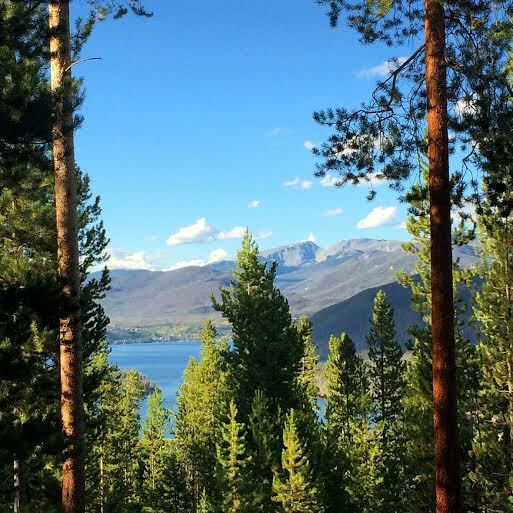 You’re surrounded by striking mountain ranges, like the Never Summers, the Indian Peaks and the Vasquez Wilderness in the middle of huge valleys, bordered by bodies of water. Last weekend as Graham and I were driving through Byers Canyon, the sun was setting and the light was dancing across the Colorado River. It was spectacular. Grand County is a fairly rural mountain county, all things considered. Have you ever been to Granby or Kremmling? They are both pretty no frills towns, populated mostly by locals. I think that rural nature of Grand County is actually a huge part of what makes it feel so homey and comforting. The best part of all? In the springtime, on your way to the Jane from Grand Lake or driving over Ute Pass from Highway 9, there are farms that line the road. And these farms, in the springtime, have baby cows running around everywhere. I will agree that adult cows are not the most attractive creatures, but if you try to tell me that baby cows are not the cutest thing in the world…them’s fighting words! Driving past baby cows on the way to go ski a spring powder day in late March? Heaven. It’s the best of Grand County without a doubt. When I asked Graham, a true Grand County kid at heart, for any input about this entry, he said, jokingly, that he was a bit worried about this because he doesn’t want GC spoiled. I mean I was just flattered that he thinks that many people actually read my blog! So if you are reading this, I would caution you to use the information from this post for good purposes only. 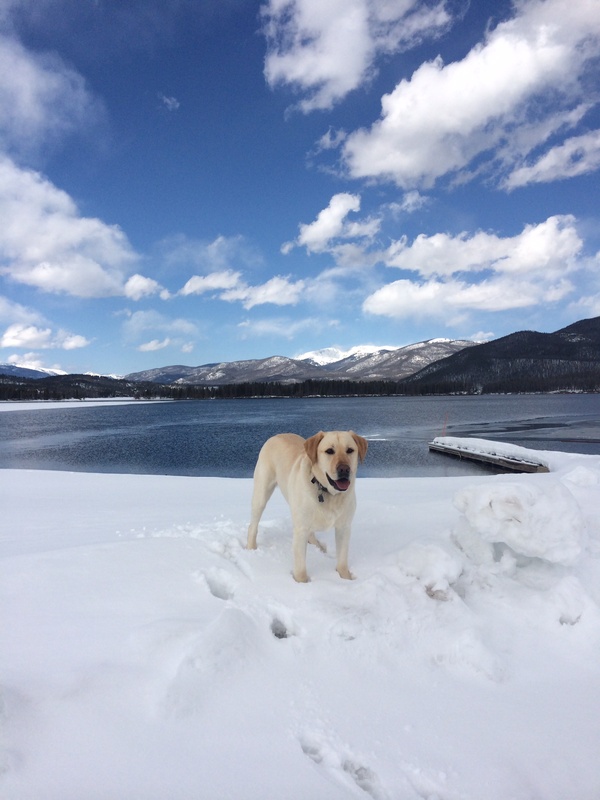 Graham has a ferocious dog named Cooper that will find you in Grand County if you are misbehaving! Cooper at Shadow Mountain Resevoir. Ferocious looking, right?! 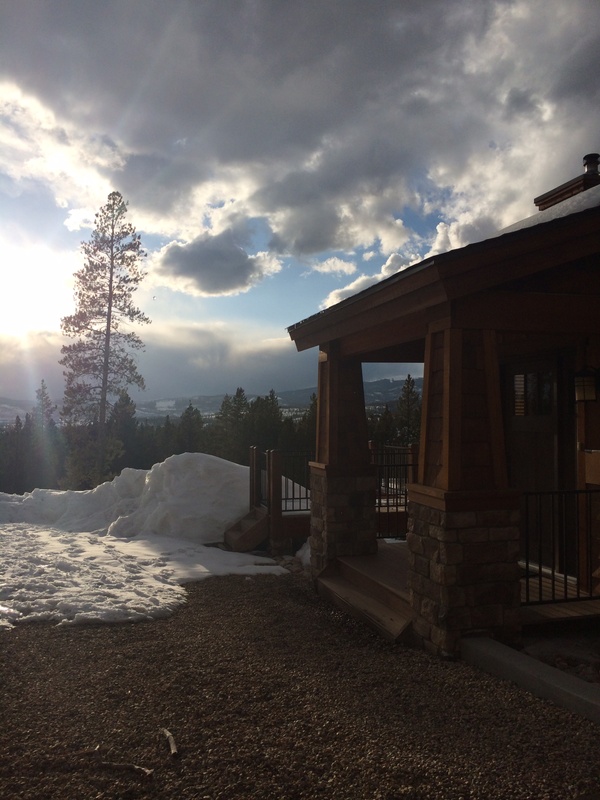 Categories: cabin, mountains, weekends, winter | Tags: grand county, grand lake, winter | Permalink.